It has been a while since former UFC women’s bantamweight champion Ronda Rousey wanting to start a family and a source close to ‘Rowdy’ confirms with ESPN that she is taking a long hiatus from WWE to have a baby with husband a former UFC heavyweight contender Travis Browne. Regardless of she’s taking an extended break or not, she’ll be on a shelf for a while as Rousey is heading for surgery to repair her broken hand on Tuesday as per Fightful. ‘Rowdy’ suffered that injury during her Triple Threat main event match against Becky Lynch and Charlotte Flair at WrestleMania 35 where she lost her RAW women’s championship as well. Earlier this year in her interview with ESPN, Rousey expressed her aspirations to have children. 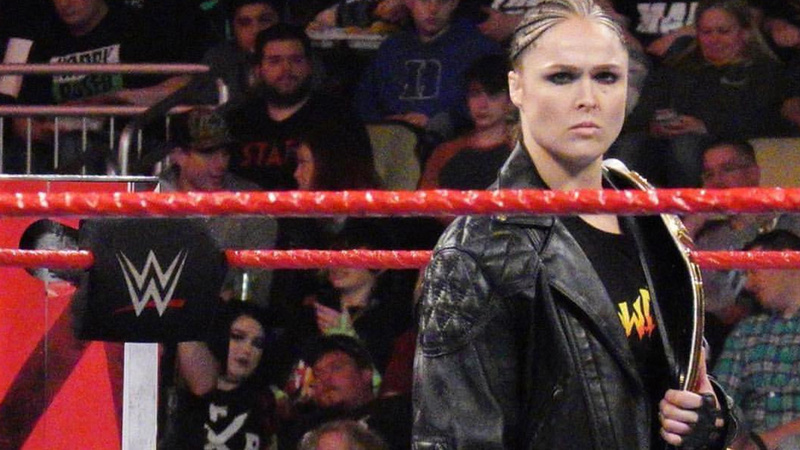 Ronda joined the WWE back in January 2018, and in April she made her debut at WrestleMania 34 in New Orleans.